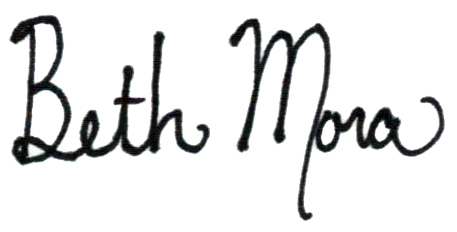 Fond memories….Back in the day when I was homeschooling all my kiddos, we all looked forward to the last day of our school calendar year before we switched to summer learning mode. Part of my summer routine was gathering my homeschool catalogues, my clipboard with multiple lists outlining each child’s educational needs, a yellow highlighter, and a pen. I would tuck all into my beach bag. With my toes in the sand, I would read page by page each catalogue highlighting and circling products for my homeschool wish-list like a little kid making a Christmas list for Santa. The Rainbow Resource Catalogue was, and is, a favorite! Needless to say, I was excited to visit their campus. 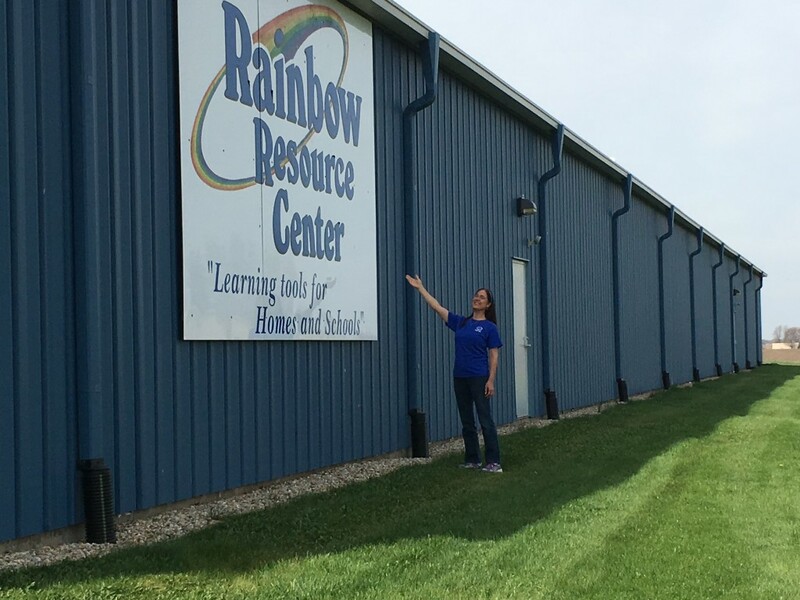 So excited to visit Rainbow Resource! And when I say campus, I mean campus! The Rainbow Resource warehouse is about the size of half of a football field and is about to double in size this year! Down the street, the administration building is “L” shaped and about 10,000 square feet. Trailers were lined up in the parking lot and ready for the 35 homeschool conventions that are on their 2016 schedule. Love the dedication….Love the vision…Love the Rainbow Team! Bob, co-owner (Bob and his wife, Linda are the owners) of Rainbow Resource met us at the front door and welcomed us into where the Rainbow Resource staff do life and business more like a family rather than employees. Bob shared with us the humble beginnings of Rainbow Resource, which started like all good companies, in a garage. He painted a picture of the future of Rainbow, which included a sizable expansion for the purpose of serving homeschoolers across the nation. Look what Janice has on her screen! 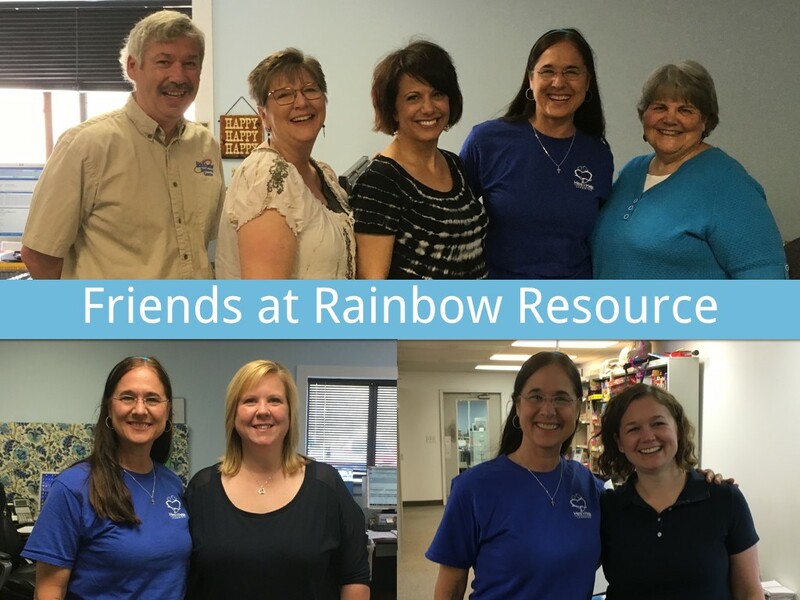 It was a joy to meet our Rainbow Resource friends who we have only met via phone or email: Stephanie, in charge of catalogue production and orders, Jessica, who spearheads the marketing department and has the cutest kids, and Debbie Z, Rainbow’s marketing rep. 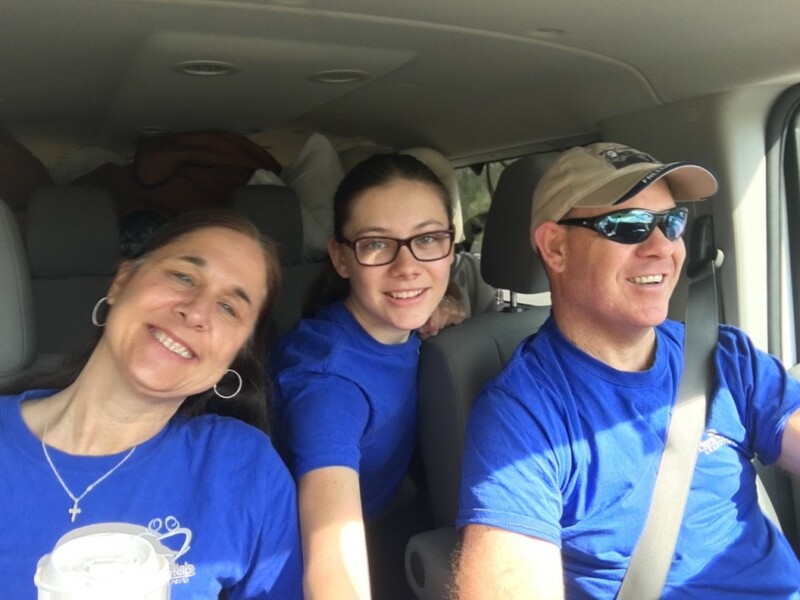 Although we have had the pleasure of meeting most of Rainbow’s consulting team members at many of the conventions, it was nice to see Deanne, Sara, Janice, and Ruth in their natural habitat answering questions and helping that homeschool mom find the perfect fit. We missed seeing Donna, but we often get to see her on the convention trail. 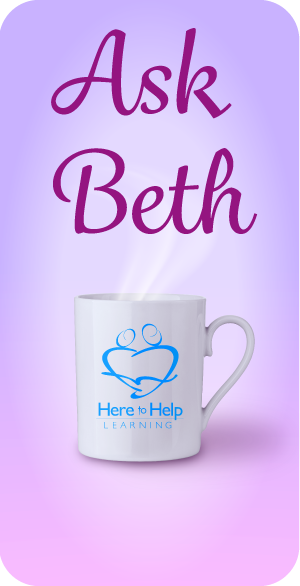 If you have any questions about homeschooling curriculum, make a phone call to these ladies. They have the inside scoop on resources! 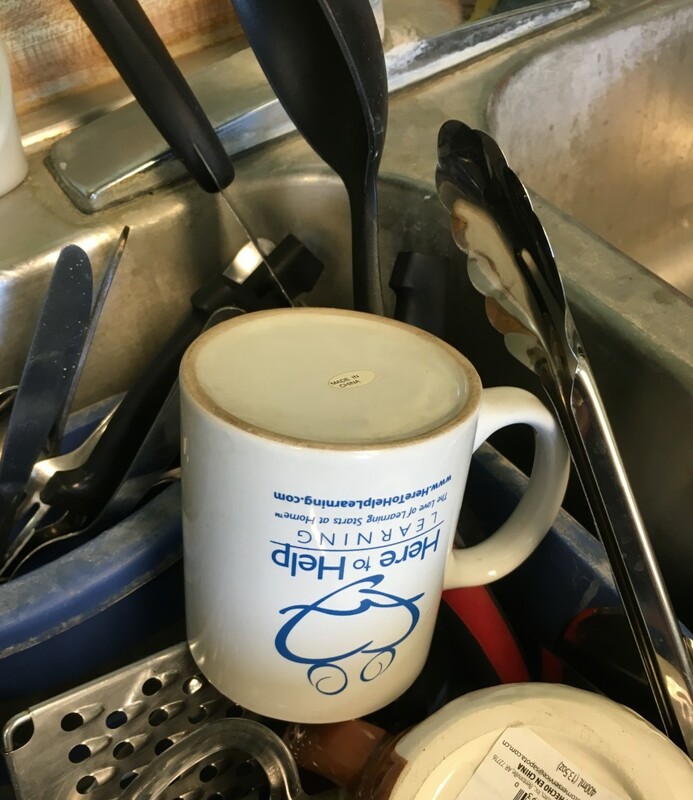 Found HTHL’s famous coffee cup in Rainbow’s break room. All clean and ready to enjoy another cup of coffee or tea! We were so grateful that Bob and the consulting team took time out of their very busy schedule to help HTHL continue to grow as a business. 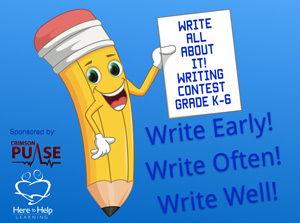 “We are big fans of HTHL’s Writing Program!” each one shared. It was exciting for me to present HTHL’s new literature program, highlight expanding markets for our products, and unfold the HTHL vision. 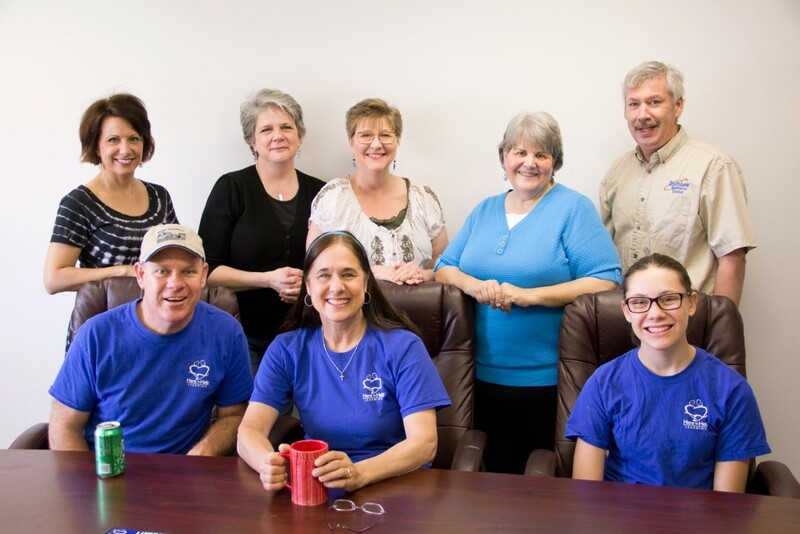 It is truly a privilege for HTHL to be part of the Rainbow Resource Team. After hugs and goodbyes, we made tire tracks east through Illinois and north through Iowa. We ended our day about 11:00 pm at the same Albert Lea truck stop that we slept at on the way to Peoria. 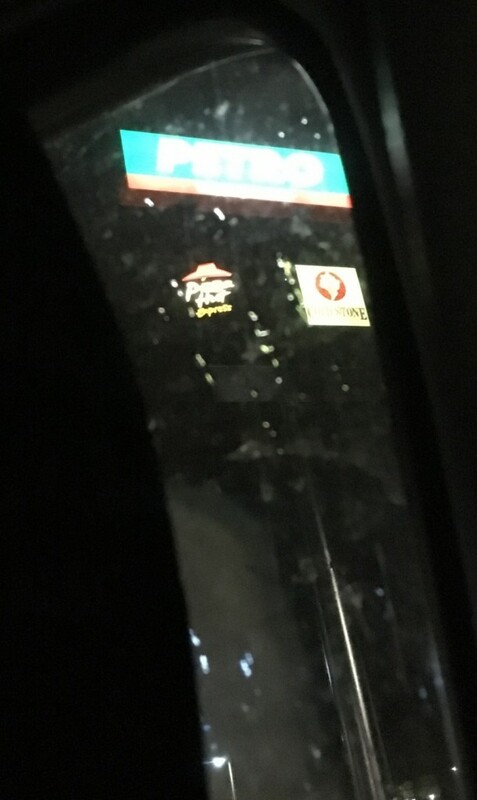 I haven’t been able to solve one of my truck stop sleeping problems. We use four car window shades to block out the light, but there always seems to be a crack between shades that allows the light from the parking lot signs to act as a mini spotlight. As I turn from one side to the other throughout the night, I have an uncanny talent for intercepting the light beams. This was my view at about 2:00 am. My view at 2:00 am! In the morning, we fueled up with gas, coffee, milk, and a few donuts. Nancy and Brad Bjorkman, owners of Heppner’s Legacy, had invited us to their home in Minnesota, and we couldn’t wait to arrive. The word “home” is a beautiful word to Team HTHL! We were so grateful they extended their hospitality to us, even in the midst of their busy convention season! 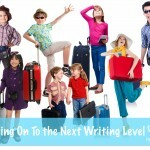 Drop by Heppner’s Legacy for homeschool advice and encouragement! Nancy and Brad made us feel right at home. 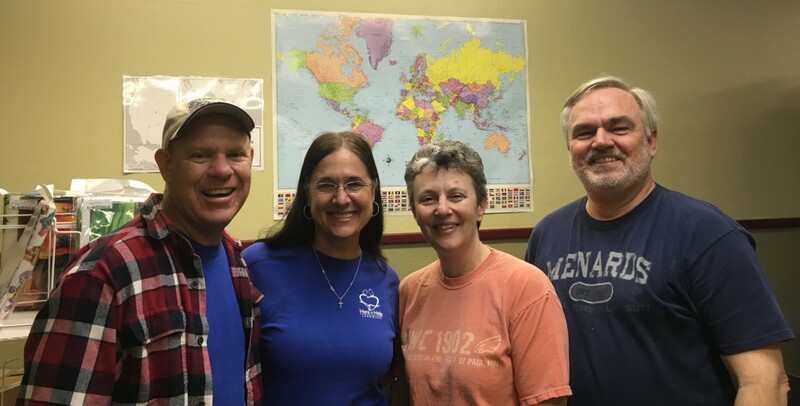 This couple, homeschool parents themselves, have dedicated their “retirement” years to mentoring new homeschool families. 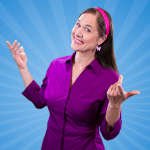 Nancy is a hoot and a sought-after speaker for homeschool workshops and conventions on a variety of topics. I could listen to her tell stories all day! 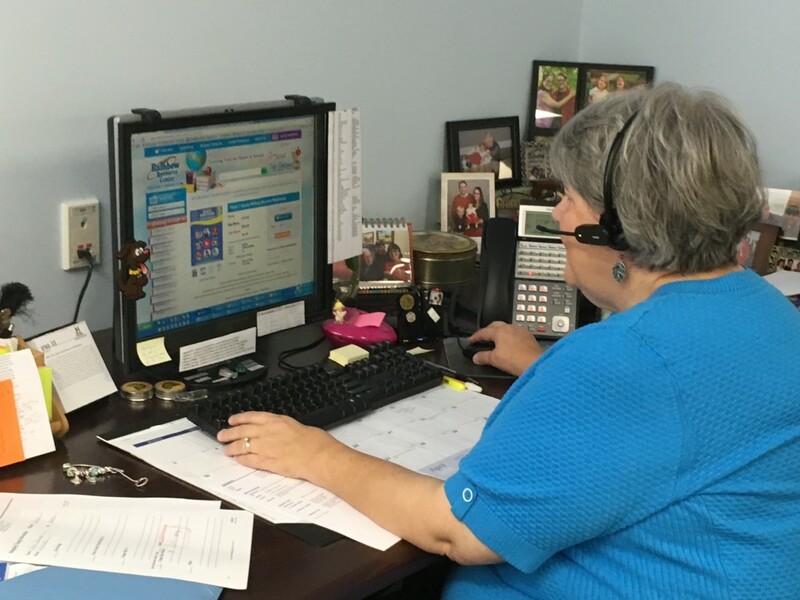 Brad is the number cruncher which helps Heppner’s Legacy’s doors stay open to serve. Loved our time with the Bjorkmans! Gala is the sweetest lab. 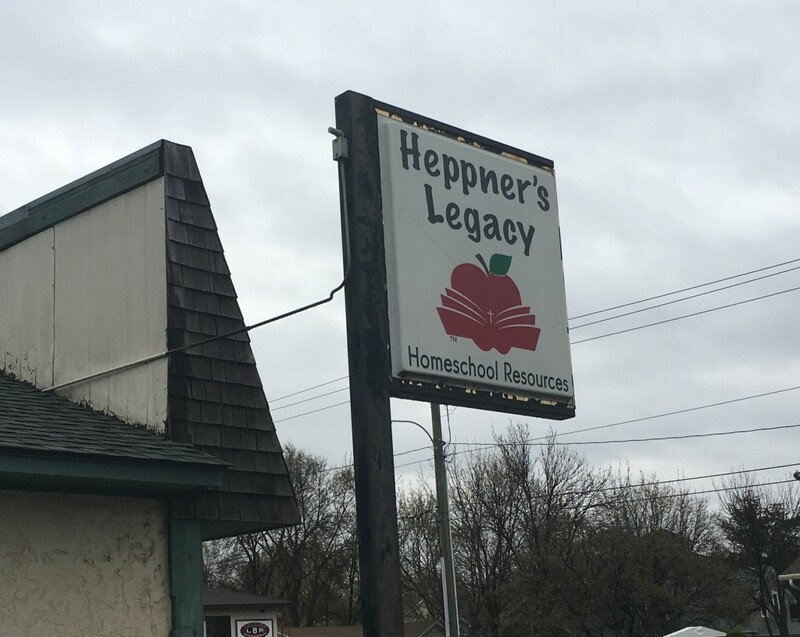 Customers stop by Heppner’s Legacy just to visit with her. Nancy and Brad had to repack their trailer for the MACHE conference. Although we offered our help, they both encouraged us to relax and enjoy their home, and we did. I rocked slowly back and forth in a purple padded rocking chair in the back sunroom. Stenciled purple lilacs decorate the walls and creep to the top of the ceiling. 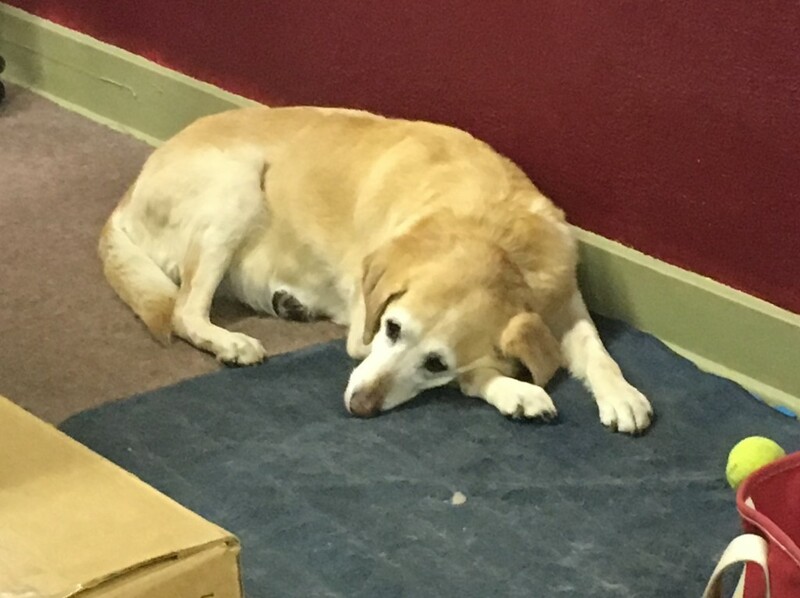 Their yellow lab named Gala kept me company as I composed the next blog post. The scent of pork roast warmed the air and my heart. BusyGirl couldn’t wait to cook! Nancy gave her permission to bake fluffy rolls for dinner. BusyGirl buzzed around the kitchen with a smile on her face, bopping her head to the tunes that were transmitting from iPhone to earbuds. 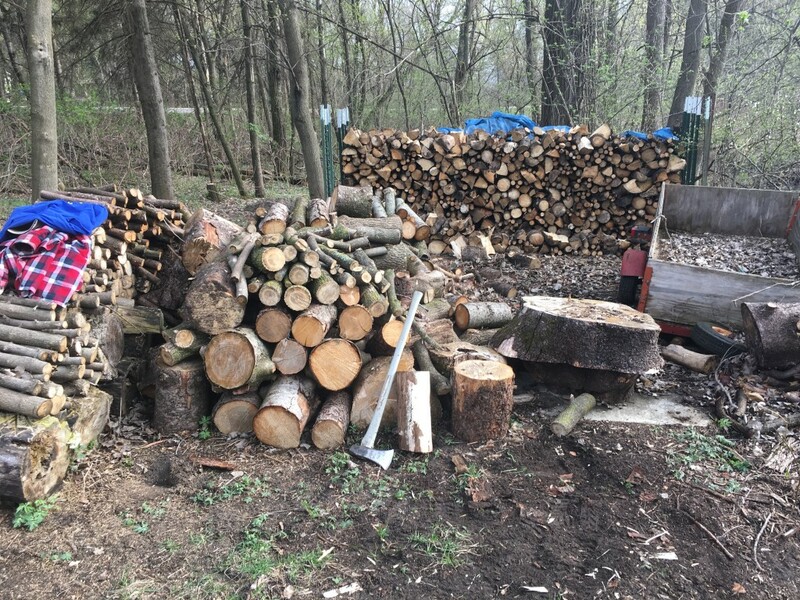 My man took one look at the woodpile and immediately started to hunt for a splitting maul. Chopping wood clears his brain; it has since he was a little kid. Before he knew it, he had split about a cord of wood by hand. I had no idea his mind was that cluttered. My man and a splitting maul can get a lot done! 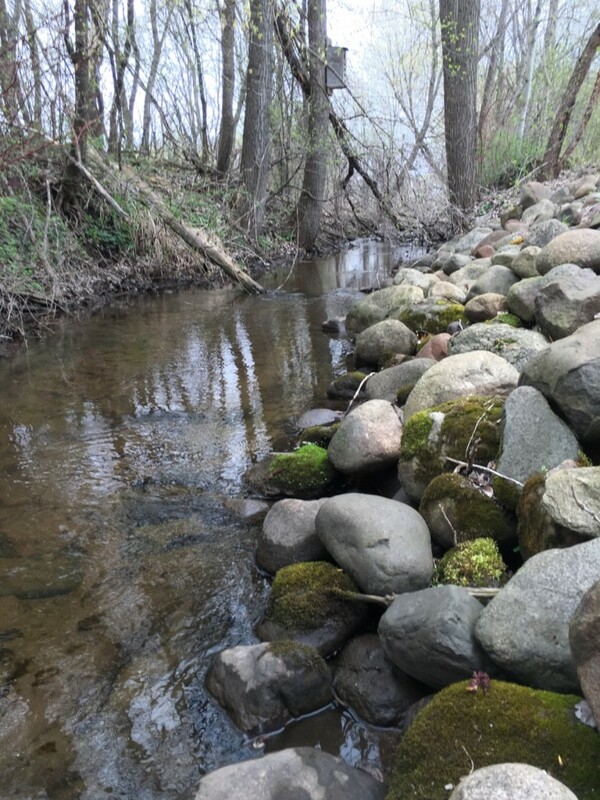 The Bjorkman’s live by a little creek, and their backyard is wide open. It’s a kid’s haven. I can only imagine the countless homeschool memories that were made in the chilly Minnesota air by this dear family. When Nancy and Brad arrived home, we enjoyed a delightful meal and great fellowship. We swapped homeschool and business stories. 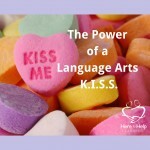 But most of all we shared our passion for helping new families get a great start in homeschooling. Perfect setting for making memories! In the morning, Nancy cooked us a yummy batch of eggs and served Tiffany’s fluffy rolls with Brad’s famous homemade grape jelly. (The jelly story is fabulous! If you visit the store, be sure and ask Brad to tell it. It’s kind of like man vs. wild grapes. Spoiler alert: Brad wins!) Nancy and Brad needed to scoot to the store, so we cleaned up and changed the sheets on our bed for their next guest. (Another vendor was going to spend the night at their home. Yup, that’s the Bjorkman’s hospitality! They have an open door policy. ) We stopped by the store one more time to say thank you. Nancy began showing me all her favorite history curriculum. (Side note: I think heaven for homeschool moms is going to look like a massive curriculum fair and unlimited hours that we can chat with our girlfriends about all the choices.) 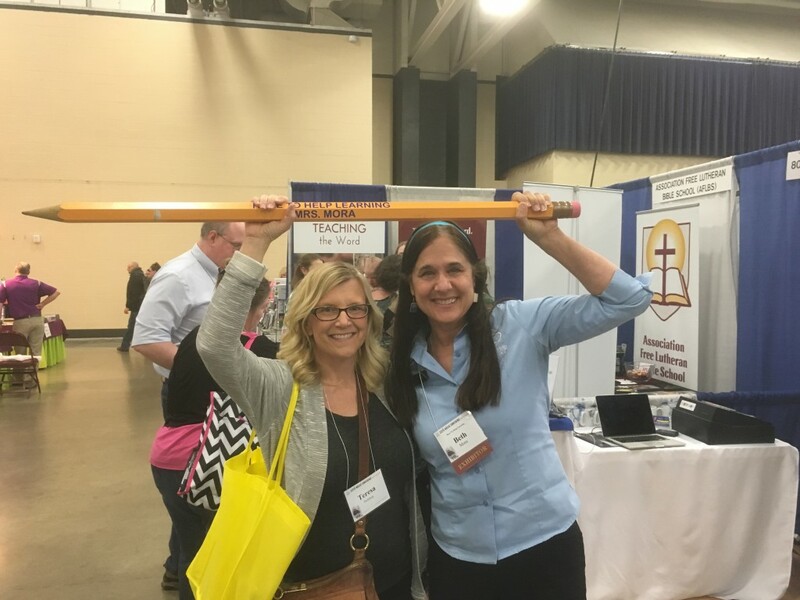 We had given Nancy some samples of HTHL’s Writing Program at the Peoria Convention. After listening to me describe it, she said, “Oh, it’s like electronic Charlotte Mason.” I couldn’t have said it better myself! 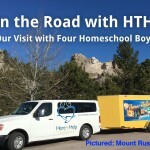 The HTHL van headed north for Duluth, Minnesota. 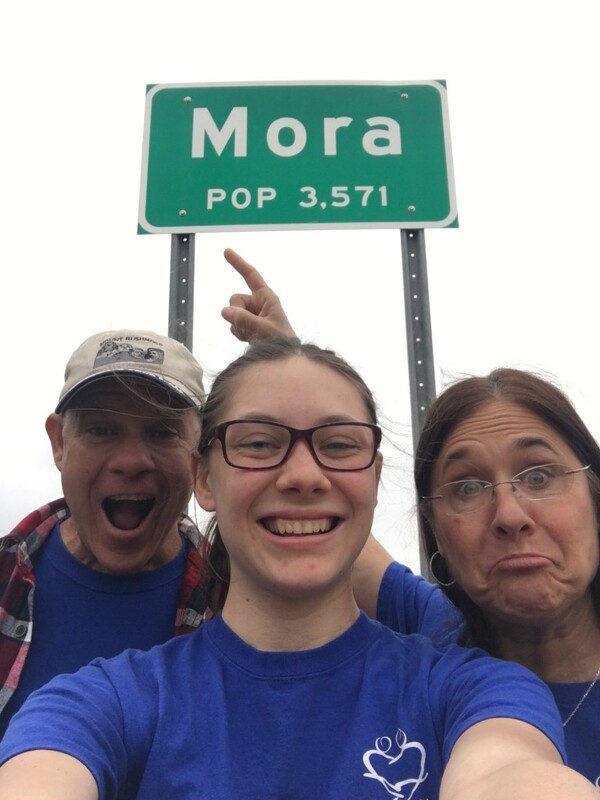 We had to stop and snap a selfie as we entered Mora, Minnesota. Our own town! Who knew? We arrived in Duluth late in the afternoon. One of our vendor friends needed a lift from the airport to their hotel. We were happy to help out. We picked up Teri (from Rosetta Stone) and her daughter and delivered them to the front step of their hotel. The kind folks of Duluth usually endure spring temperatures in the thirties! However, it was a spectacular 69 degrees when we arrived in Duluth. The air was warm, and the breeze was gentle. We took a walk along Lake Superior. It felt like we were walking on a California beach although the scent of salt air was missing. 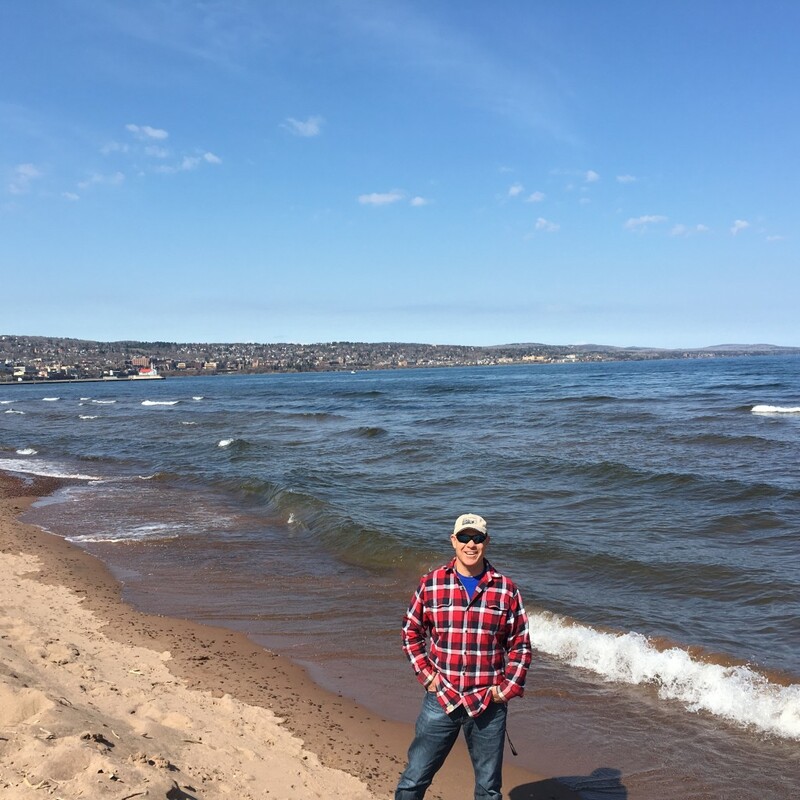 Spectacular day on Lake Superior’s shoreline! 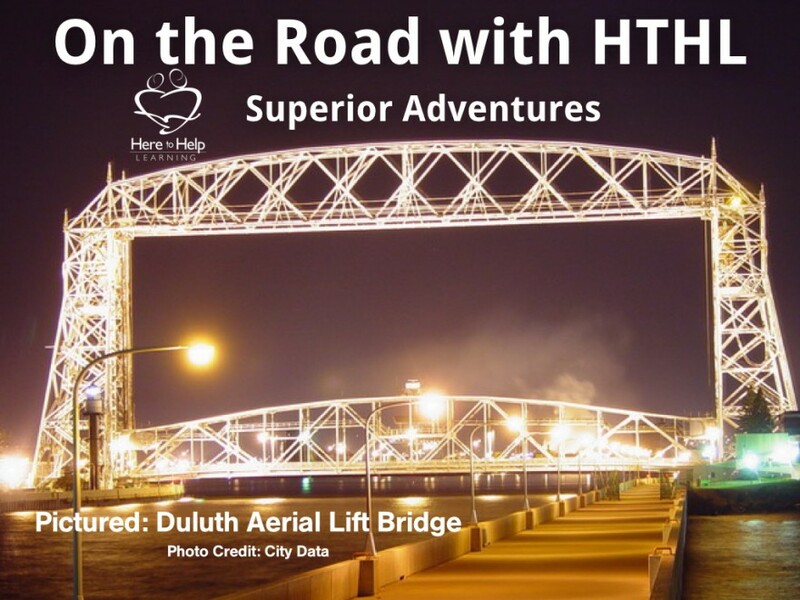 Hotels are pretty pricey in Duluth, so Team HTHL decided on one more night in the van. We parked in the Walmart parking lot with the manager’s permission and tucked ourselves into our sleeping bags. Temperatures dropped to 40 degrees and continued to fall as the day progressed. As I ordered my morning coffee at McDonald’s, I engaged a Minnesota lady in some small talk and commented about the previous day’s weather and how beautiful it was. She stoically replied, “We deserve it.” (Note to self: Weather is not a topic for pleasant conversation in Duluth.) Later, one of the MACHE leaders commented that Duluth’s growing season is about “three days in June”. Apparently, July and August are sweltering around here with temps in the 74-76 degree range. We checked into our hotel early and took showers. 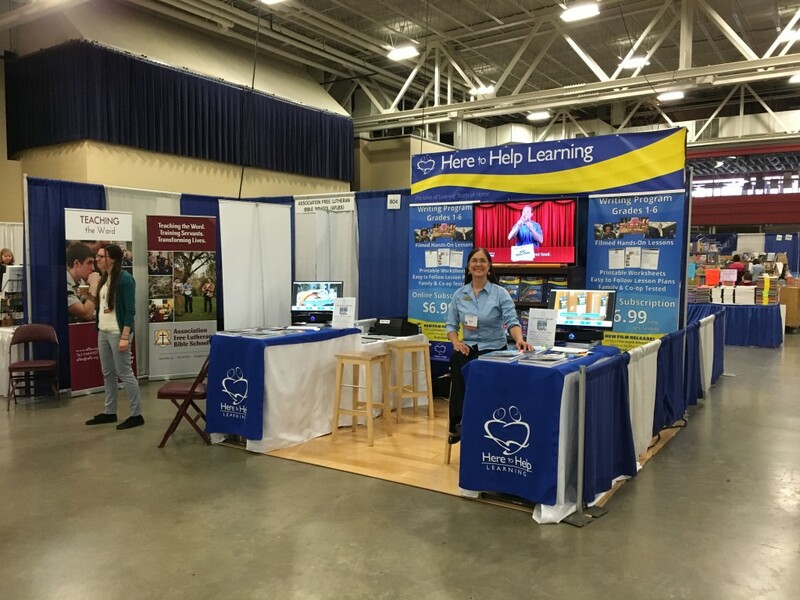 Later in the afternoon, we arrived at the convention hall and set up our booth for the MACHE homeschool conference. A team of happy teenagers eagerly helped us to unpack and set up. What a blessing! We went back to the hotel for Marie Calendar’s frozen meals in the microwave and a chance to lay flat while sleeping. Doors opened at the MACHE conference and homeschooling families flooded the aisles! 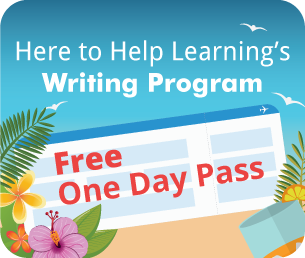 I think everyone who home schools should go to a homeschool conference because two very important questions that plague a homeschool mom all year get answered. 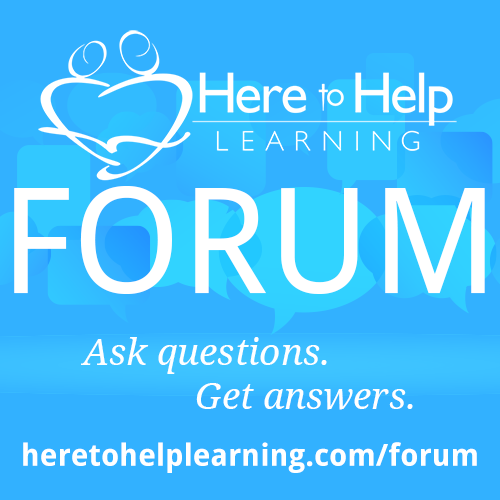 Question#1: Am I the only one who home schools? 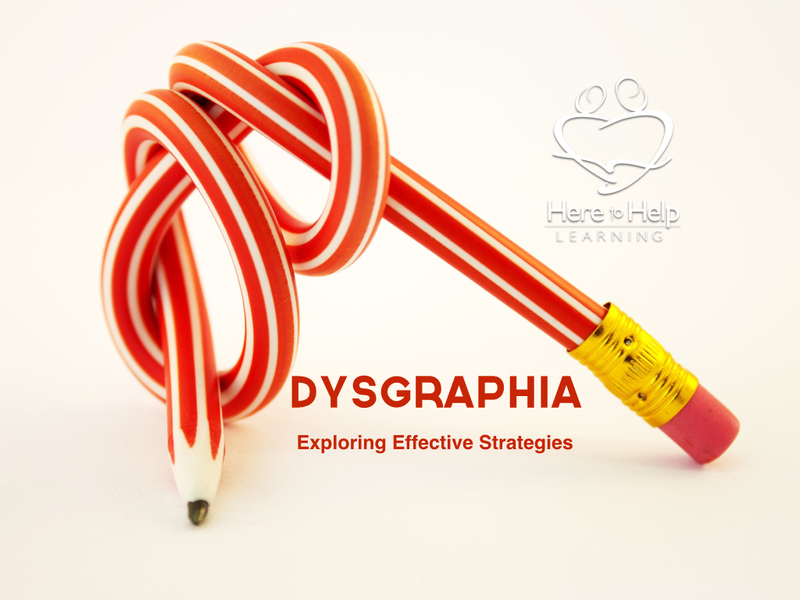 Question#2; Am I crazy to homeschool my kids? Answer: No, it’s an awesome choice, and homeschool advantages get better every year! A homeschool dad and business man from North Dakota came to our booth and listened to Forrest present HTHL’s Writing Program. They talked further about life and business. Forrest asked him for his business card. He in turn handed Forrest his business card and a “Ben Franklin”. “I love your business model and how you are using technology to serve.” he said as he walked away. We were speechless…and grateful…….and ……….blessed by this man’s encouragement. Showers and blessings! Thank you Lord! 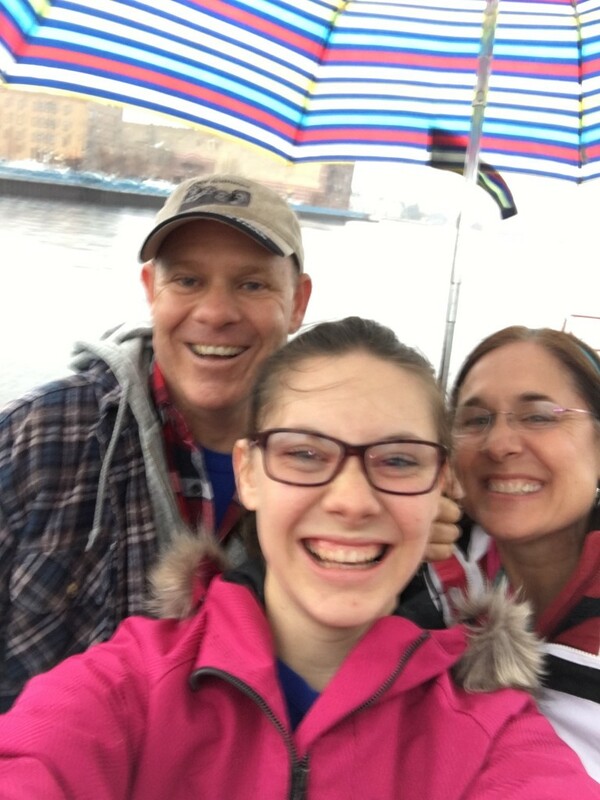 After the convention, we tramped through the rain and offshore Lake Superior wind to meet with other homeschool vendors at a local restaurant. New friends included Ray and Charlene Notgrass of Notgrass History and the Heppners, previous owners of Heppner’s Legacy. Of course, Brad and Nancy were there too! Forrest and I soaked in their stories of God’s faithfulness and exchanged some healthy vendor ribbing. Such a treat to meet Theresa from Bear Creek Felting. 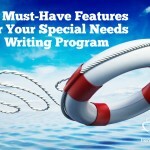 Theresa is also a TOS Crew Review Blogger and recently did a review of HTHL’s Writing Program. (Click:HERE to read her review). She said, “My son is not going to believe I met you!” We had to do the “Pencils Up” shout out together! Tanya from The Natural Homeschool sent me a video of her little cutie. This little man had just finished the HTHL Writing Project called, “Good Books Make me Hungry”. One of his choices for his publishing assignment was to share the writing project with the local librarian. So here he is reading his project to the librarian. One word: aaaaaaaadorable. 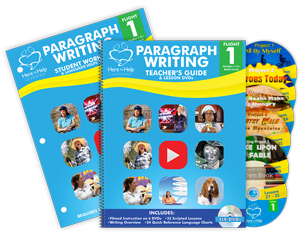 Publishing (sharing) the finished writing project helps a child to become a confident writer! It’s why HTHL values the entire writing process, right down to the last step, publishing. I shared the video with many who came to our booth. 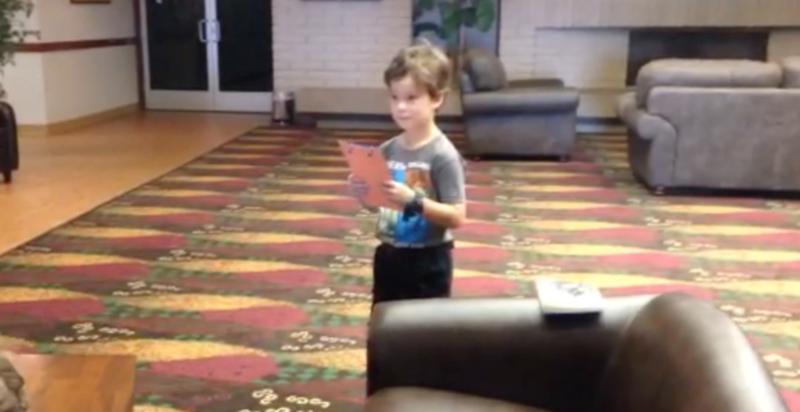 This little man is reading his HTHL Writing Project to his local librarian. 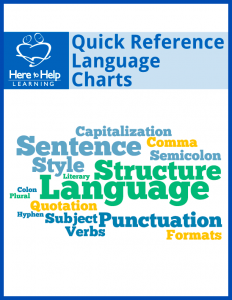 Completing the publishing step makes a difference! While at the convention, I received a call from one of our vendors, Brian, a homeschool dad and co-owner of Eagle’s Nest Homeschool Supply with his twin brother. Brian placed his order (They’re gearing up for fall co-ops. 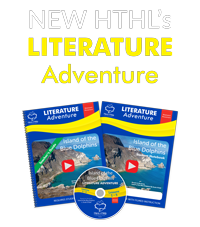 They use HTHL for the writing classes they offer) and asked where our travels had taken us. I told him Duluth, Minnesota. “You must send it to me,” I insisted. 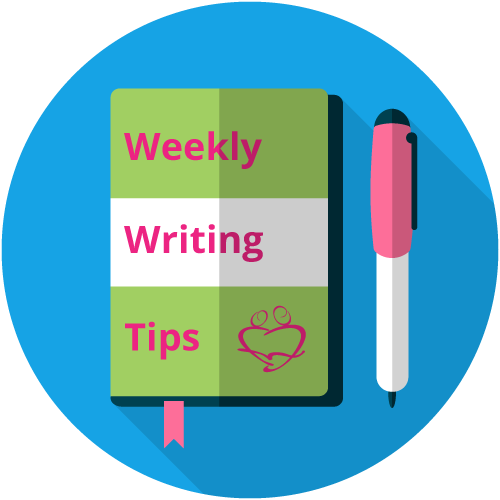 Brian not only relies on HTHL’s Writing Program for modeling writing behaviors to his kids, but he also engages with his children by doing the writing projects with them. So here is Brian’s limerick! A cold… in the cold is miserable. I had nursed my cold throughout the weekend, and it showed signs of improvement, but I needed warmth and an extended rest. We broke our usual pattern and left early to get to Indianapolis, Indiana, so I could have both. 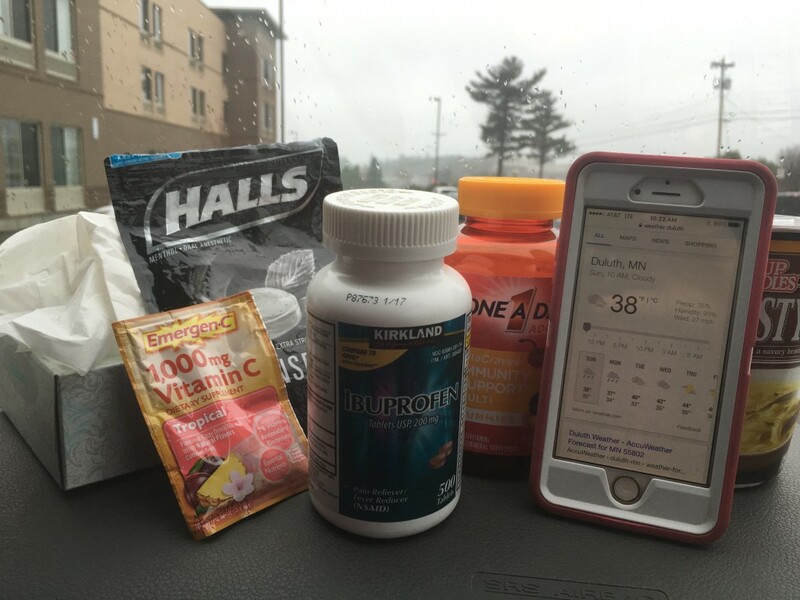 A cold….in the cold is miserable. Forrest took one more drive along the front of the lake shore. Dark gray clouds moved quickly across the large sky, and the wind rocked the HTHL van and trailer. In the distance, a cargo ship lumbered through the waves. We attended church in our van. Christian radio provided worship songs. We read scriptures, talked about how to apply them to our life, confessed fears and disappointments, and admitted shortcomings. We prayed together. Doing church in the van! Our last stop before we left the land formerly known (in Americas younger years) as the Northwest Territory, was a trip to Culver’s to taste their famous Butter Burger. Yup, they fry the burger in butter. (Why didn’t I think of that! Simply brilliant!) And to top that, their frozen custard was amazing! 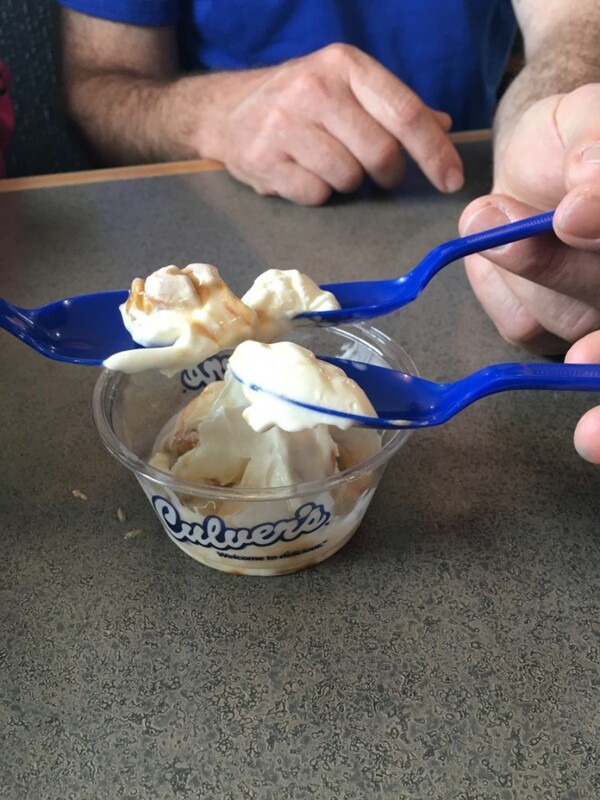 The waitress let us sample the flavor of the day, caramel cashew….. mmmmmmm! I wish you could lick the screen and taste this! 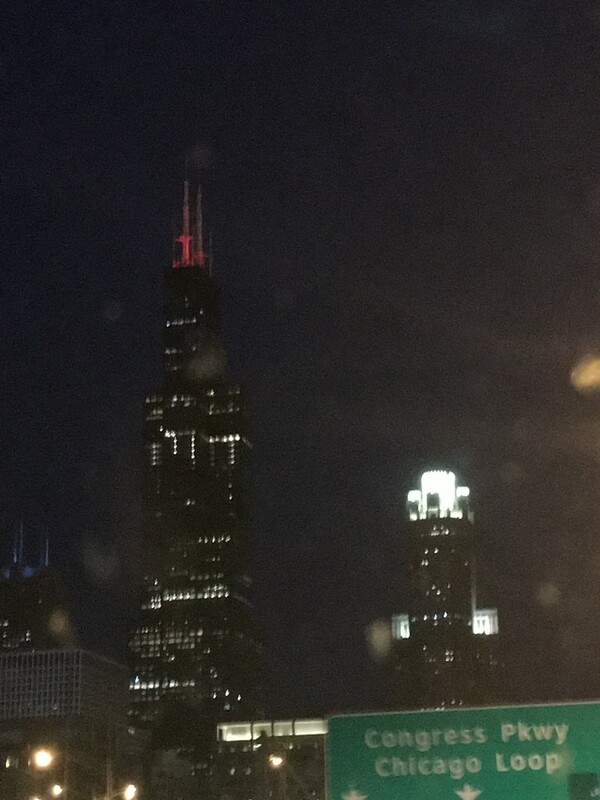 After fields and farms, we drove through Chicago, Illinois at about 9:00 pm. The Chicago skyline was beautiful. The HTHL van squeezed through the labyrinth of highway known as the Chicago loop and popped out into country fields and farms again. Weaving through the Chicago Loop at night! Thanks for sharing the road with us! 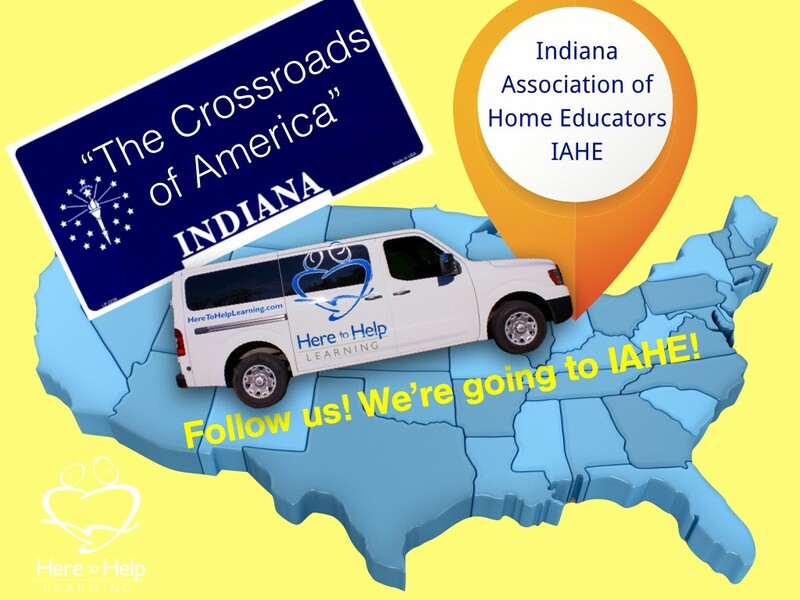 We are headed to the IAHE Convention in Indiana. We hope to see you there! It’s exciting to see what the Lord is doing with talents He has given your family!!! It makes me proud of your family and grateful to know the blessing you are. Keep on with the great work. Your gifts bless many lives!!! Hope to see you out here again, soon. Thank you Janis for imparting (en)courage to keep serving! We hope to see you soon too! We’ll be in Phoenix, Arizona the second week of July.